You read about it here first! I am a big fan of Margaret Heffernan's ever since she wrote an article in 2002 for Fast Company on the topic of women entrepreneurs that led to a book called The Naked Truth. 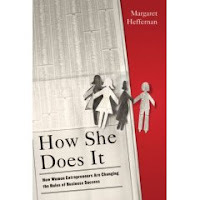 Now, she's back -- bigger, bolder and wiser than ever -- with her new book, How She Does It: How Women Entrepreneurs Are Changing the Rules of Business Success. And how could we NOT like this book? It's terrific and right in line with the whole purpose of this blog! ... The study of entrepreneurial motivation is fraught with inconclusions. Entrepreneurs are clearly different from corporate executives – but quite how, and why, no one is quite sure. For men as for women, money is never the prime driver. In no studies does it top the list of reasons why people choose this riskiest of careers. Entrepreneurs seek adventure, they want to learn more, they want to stretch themselves. A lot of them had entrepreneurial parents. ... But the fact that more women than ever – 420 a day – are starting new businesses suggests that something extra is driving them. Some of this is a collision of social and economic trends. More and more women are well educated. There is a larger pool of women with high level experience of traditional businesses. There is a rise of entrepreneurship throughout the world’s economy and much of this is undoubtedly fueled by the development of new technologies which make it cheaper and easier than ever to set up in business for yourself. ... But the single reason most often cited by women to explain why they go into business for themselves is simple: they want independence. They seek control of their own destiny. They don’t want to be passive victims of corporations and strategies and men that don’t value them. ... When you start your own business, you can work your own way: you’re the boss. And so business becomes a way of proving that the old, stale, male ways of working are not the exclusive avenues to success. We don’t have to choose between work and family. We don’t have to measure employees’ value by how many evenings and weekend they’re prepared to sacrifice. We don’t have to do business via shoot-outs and bake offs. Macho work environments, rigid career patterns, turf wars and internal competition – these are not women’s ways of working. They are profoundly alienating and while not all women start their business with a mission to overturn age old business paradigms – many do. ... This has profound implications for the businesses women run and the way that they run them. The bond, between looking after the business and looking after the people, is not rhetoric and nurturing isn’t weakness. They are what make these companies so strong. When you feel such passionate affinity with, and responsibility for, your employees, it changes what you do and how you do it. It places values, ethics and culture squarely in the centre of every decision you take. It forgives mistakes and enables you to reach out to everyone and anyone that can help. It makes you profoundly connected, courageous and creative. And, as motivation, it provides inexhaustible staying power. 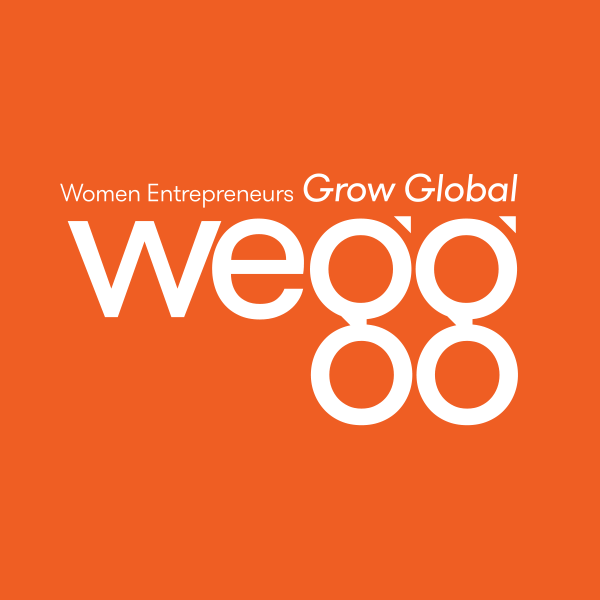 As women entrepreneurs, we are important. You've got this blog. Now go buy this book. Just caught this from Babson College -- great interview with Margaret!